25x20x2 Titan-Flo Grease Baffle Filter Fire Patrol "G" | Air Filters, Inc.
25x20x2 Titan-Flo Grease Baffle Filter Fire Patrol "G"
25x20x2 Titan-Flo Grease Baffle Filter Fire Patrol 304 "S"
25x20x2 Titan-Flo Grease Baffle Filter Fire Patrol 430 "S"
Titan-Flo™ Galvanized Grease Baffle Filters designed to be used in grease hoods and fryers. The FIRE PATROL "G" was created to replace the mesh style filters, without concern for costly hood modification. 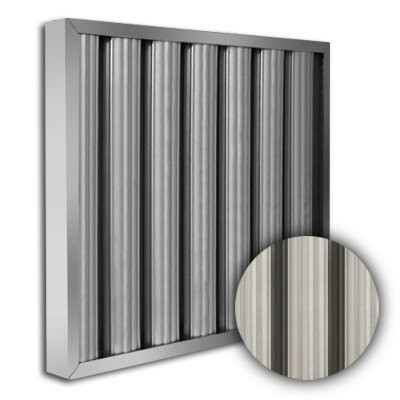 Air Filters, Inc.™ Titan-Flo™ Galvanized Grease Baffle Filters are made from a unique roll formed baffle, designed to prevent flame from penetrating through the filter into the duct work. 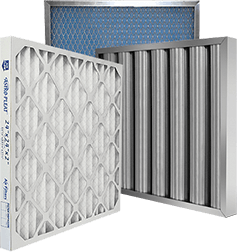 Two layers of equally spaced baffles create an air flow which gives unsurpassed performance in efficient grease removal. Smooth baffle surfaces cause a continuous run-off, allowing grease to be safely deposited in collection troughs.